In Battlefield 1, you get rewards in the form of battlepacks. These are loot boxes that offer various bonuses for you. A battlepack can be found in the game when you have completed a match. However, you don’t always get one. The system works randomly. If you have earned a battlepack, then your picture will appear next to the loot box in the results screen at the end of a match - then you know that you can again open a new battlepack with bonuses and add to your collection. It is important that you play the entire match. This increases your chance to get a battlepack. Only after the end of the match you will find out if you could earn one. But you will also exclude from the award of battlepacks if you leave a game shortly before closing. Besides being able to collect battlepacks randomly after completion of a match, you can also buy them. For that you need to have enough scrap. Where you get this, we will show you below. 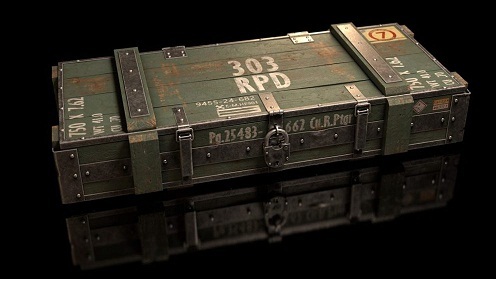 Contents: What is hidden in the Battlepack? In a battle pack you’ll find cosmetic items, such as weapon skins. These are available in various degrees of rarity, so special, outstanding or legendary skins. However, from time to time you can modify your gun with various parts, for example you can pick a Sawtooth Knife from Battlepack crate. These are usually parts for a melee weapon. Rarely, there are also EP boosts for you as bonuses. Of course you can get out of the superior Battlepack crate better and higher quality items than from a regular. Incidentally, you can look before opening the crate, what is hidden in it. DICE and EA have announced that it regularly gives new content by change in a weekly rotation. To apply a skin or other accessories to your weapon, you have to click the small gear next to your weapon in the menu. There you can select and apply the skins or if you choose from the menu - the menu item "optics". If you don’t like a skin or one of the other contents of a Battlepacks or you already have them in your collection, then you have the possibility to scrap the item and a so-called scrap objects to make of it. This scrap objects you can then invest in new Battlepacks by buying the wooden crates. - 900 scrap items: Superior Battle Pack, which always contains a legendary skin and a high chance of an additional bonus object.